170 km and 27hrs50min – Never again! 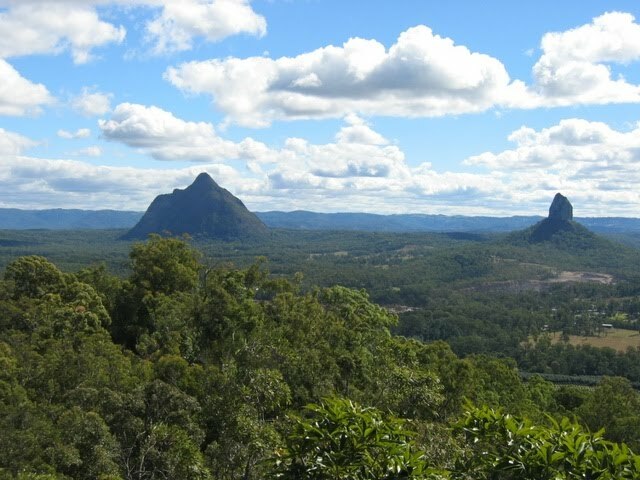 But the ‘Never say never again’, right – even so at the moment I don’t even feel I could run to the bus stop after last weekend’s 100 miles in the beautiful Glasshouse Mountains north of Brisbane. As always the organisation and volunteers at the checkpoints where brilliant and I consider this still one of best Ultra Event in Australia! Flying up on Friday I arrived to a wet and overcast Brisbane. Luckily the rain stopped and by the time we all met for the race brief and compulsory medical check the forecast looked good for weekend. Over a pasta dinner I caught up with some fellow runners but soon it was off to bed and getting ready for an early start. 4am alarm went off and after a big breakfast it was off to a 5.30am start for what will be my longest race ever. 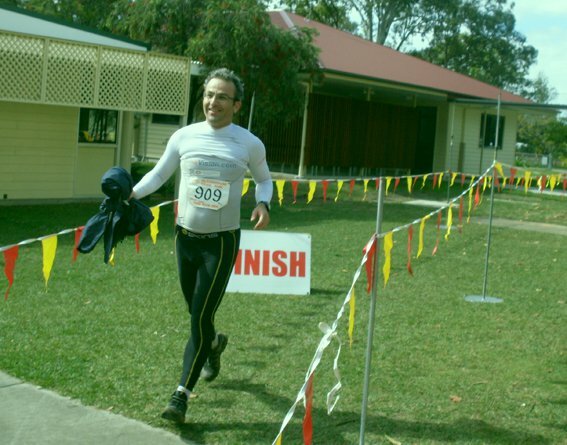 Having been up in the Glasshouse Mountains in 2007 finishing the 100km race I knew what was ahead of me for the first part of the race. It was great to catch up with some old Marathon des Sables competitors from 2008 at the start. Pretty soon after the gun went off we all settled in to our own race speed. I had an initial plan of finishing the race in about 26 hours. The first 10km where a warm-up round for all of us (all means the 100km and 100miles runners). 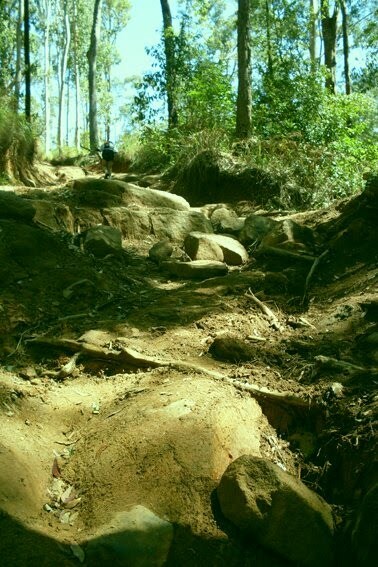 We left the school of Beerburrum in a single line and headed around the Beerburrum Mountain anti clock-wise. Everyone was still in a buoyant mood and lots of chatting was to be heard along the route….chatting which soon stopped when we finished the round trip and ended up at the bottom of Beerburrum Mountain…what a climb! Only 300 odd meters high but man, was it steep. I made a point of walking up and down as I remembered from last time that if you run down here you going to pay a hefty price later on. Soon we arrived at the first big Checkpoint No 4, where our first drop bag was available to re-stocking with Energy Gels and Food. I had been running for 3 hours covering 27 km and I felt great. 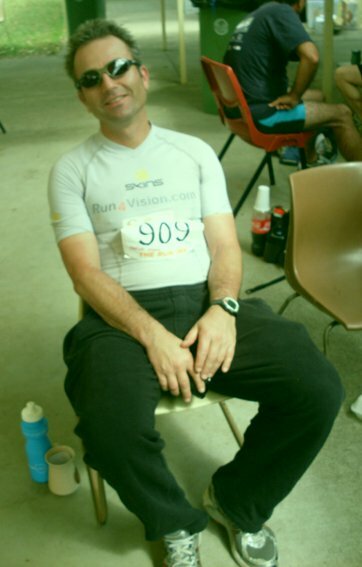 7.5 km later I arrived at CP 5, where I met Cliff (MdS 2008 runner), he did not look too happy and was sitting there waiting for another MdS runner. At this stage I did not know that this would be the end of Cliff’s 100 mile run. Always heartbreaking when you see somebody pulling out knowing about all the hard time and sacrifice of training going into a race like this. 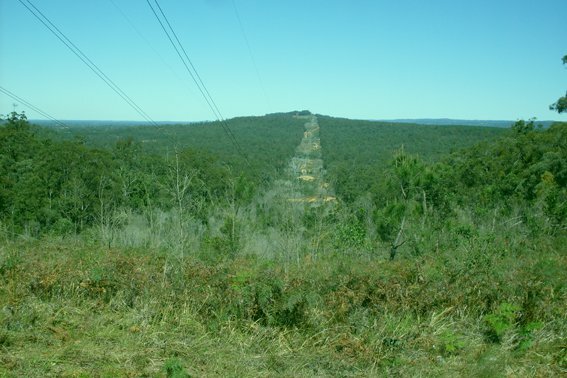 The next 16 km where cruel along a set of powerlines, up and down and hot being in the open sun at midday. I had my two bottle of energy drink full and enough food to cover the distance in relative comfort. Arriving at CP8 on track, I checked my weight loss (- 500g) and after a good food break, I headed off for the first of two loops. The first 10 km where quite hard, lot’s of up and downs again and it seemed a never ending loop…it took me a long 2 hours to finish this part but the second loop of 10.5km went much better and I was back at CP8 in 1.22hrs – so after more than 10 hours of running it was time for lunch, a nice ham, tomato and avocado sandwich with some potatoes and salt. I was already tired of my energy bars and gels but needed some food on the run to keep me going. Daylight was running out and I realised that it will be along run in the dark back to the start at Beerburrum, where some warmer clothes are waiting. Arriving at CP 7 I started another short 4 km loop just in nick of time before I had to turn on my head torch. At this stage I was 12 hours on my feet and the body slowly but surly started to get tired. On my way back to CP 6 disaster struck, getting to the intersection where the powerlines started, the road suddenly was full of 4W drives getting ready for some fun in the night, I looked for the markings on the road and saw a faint arrow pointing….up ?!? along the main road, which did not make sense to me as the map told us to go back were came up in the morning. Tired as I was I first followed the arrow up the main road but after about 1 km I have not seen any course markers, so I return to back to the intersection and went down the way where we came from in the morning (as on the map indicated), however soon I found myself lost in the dark forest and even more unsure where to go then 30 minutes ago. Back up again to the 4W drives and by than I was feed-up and ready to go home, especially as my back-up torch broke down just to make it worse. One of the 4W drivers eventually came to my rescue and told me that he has seen other runners going up the main road, so off I went and soon I caught up with some slower runners, runners who where over 45 min behind me at CP7….I lost at least a 3/4 of an hour and once I arrived at CP6 I was exhausted, frustrated and ready to stop there and than. My rescue was my running friend Keith, who happened to be there too and he encourage me to keep going. I was cold, shivering, tired without a good torch and without Keith encouragement and a spare t’shirt I would not have finished this race. We decided to run together the reminding 30km through the night back to the base. 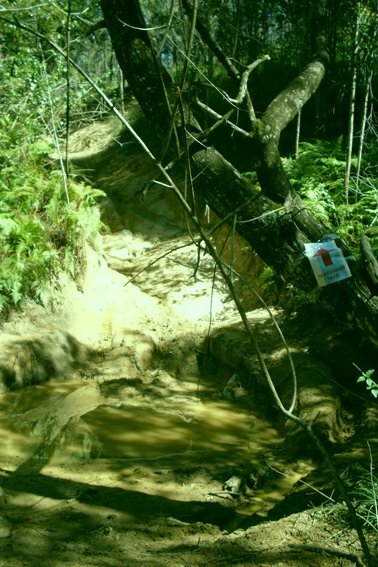 The section between CP 6 and CP5 was rough and rouged but thanks to Keith brilliant head light it was easy to find our way around all the water pools and narrow passages. By the time we arrived back at the base it was midnight – 18 hours on the road, dead tired, brain empty, legs jelly and knees wobbly. I was ready to curl up in my car and wait out the sunrise. Keith was again pushing me on. His lovely wife Carol, who finished her first 100km race in 17 hours, handed me her powerful torch and after a cup of soup and a NoDoz I felt like new born and ready to go…NOT. Off to new territory, never been running more than 100 km nor longer than 16 hours non-stop. With Carol’s great torch it was easy to keep running, Keith and I swapped the lead regularly making our way towards CP9 knowing that only a few slower runners are behind us. We reached the bottom of Wild Horse Mt. 2 hours later and made our way up the steep 400m hill and back. Just when we got too comfortable at that CP drinking our warm soup and enjoy all this lovely homemade food, a headlight slowly came out of the woods behind us – Bill, the last man standing in the competition…good old Bill power walked the whole way and caught us, that was bad news and enough for me to pop another NoDoz and head off fast big time….the saying goes that if Bill overtakes you, you won’t make it too the finish….10 years in a row Bill finished the 100 miles with-in the cut-off time of 30 hours and it was no different this year. With Bill breathing down our neck Keith and I ‘sprinted’ towards CP10, where we arrived after 23 hours on the road. By then we both struggled big time and there where times where I would find myself shuffling along the path falling asleep and finding myself a few seconds later just having covered 10-15m of track without remembering how…..interesting stuff, the body can cope with lots of strange things which I found out for sure that long night on the road. From CP 10 we had to do 2 loops of 9 km each, before heading back to base. Both loops were fairly flat and easy to navigate and after I saw Bills headlight again in the distant behind us, I felt a second wind and started to speed up a bit, so sadly I had to leave Keith behind hoping that unlike last year, this time he can keep Bill off his back and finish the race. By the time I started the second loop, I was catching some other runners who slowed down and this made me feel even stronger, especially since the dark gave way to the morning sun again and with a new day starting I was happy to find myself back at CP 10 strong and feeling good, knowing now, that I will make it to the finish in time. At this stage however, 24 hours into the run, I just wanted to have this done and over with and without much delay at CP 9, I attacked the last 10 km of the race….it proved to be a very long last 10 km and looking at my watch, I feared unless I pushed hard, I may not finish under 28 hours – my new goal made up along the way. I could see the first houses of Beerburrum and with 10 minutes to spare I sprinted rounded the last corner back into the school yard crossing the finish line after a long 27hrs 50min! I never felt so tired and exhausted but at the same time satisfied that I all the hard work in training over the last 4 months have paid off and I have made it into that elite group of true ultra runners in Australia. I did not have to wait long for Keith crossing the finish with more than an hour to spare. Bill Thompson made it walking in 29 1/2 hours! The first across the line, well, that was 10 hours earlier, but nobody really cares, as for us everyone who was standing on that starting line 30 hours ago is a winner. I made it safely back to the Airport hotel for a shower and a little snooze – setting 3 alarm clocks so I would not miss my flight back to Sydney….. I just had a week to recover – some long sleeps and lot’s of good food…..before tomorrow morning I will be guiding Ben on his second 1/2 marathon at the Sydney Running Festival. I look forward to the finish as it will be the end of 2010 racing. A well deserved rest for the body and mind before we look at new adventures for next year.